There are over 3000 ways to win this innovative 5 reel slot bonanza - check out slots here. The game will have you reminiscing about Super Mario with its fresh and inviting graphics and have you jumping for joy spin after spin. This is an incredible game, deposit and play UK slot games at Wizard Slots. Looking for the UKs best slot games to play?? 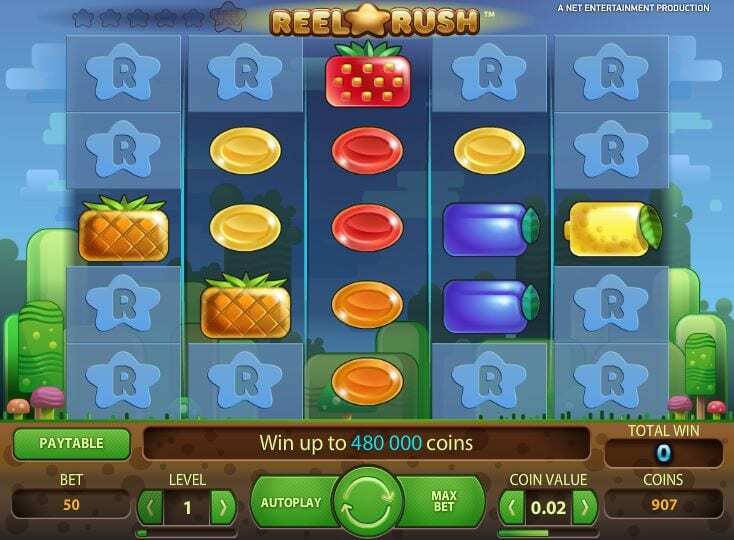 Well, look no further than Reel Rush slot! This may look like your standard 5 reel slot but there are an incredible 3,125 different ways to win! It’s not just about the thrill and excitement either, graphically and design-wise the game is pretty cool too. There are trees that look like lollipops and tiny toadstools too. The backdrop might actually remind you of a famous video game you might have played in your youth, the one featuring a certain Italian plumber! The symbols consist of the traditional ones you might find on an old-school fruit machine from down your local pub. There are lemons, grapes, plums, pineapples, and strawberries, as well as the corresponding ‘drops’ of each. You can stake form as little as 1p so this game absolutely caters for all players budgets and all levels of slot experience, from total novice to experienced pro. There is also a handy autoplay feature but please remember that wagers can rack up quite quickly using this feature and so please proceed with caution if you do choose to use it. The autoplay feature can, however, be set to stop spinning each time you win or each time the free spins are activated. Or even better if a win exceeds and amount you have entered or if your balance goes above or below a certain level. As usual, the wild symbol will substitute for all symbols in the game, but only if it appears on reels 2 through to 5. 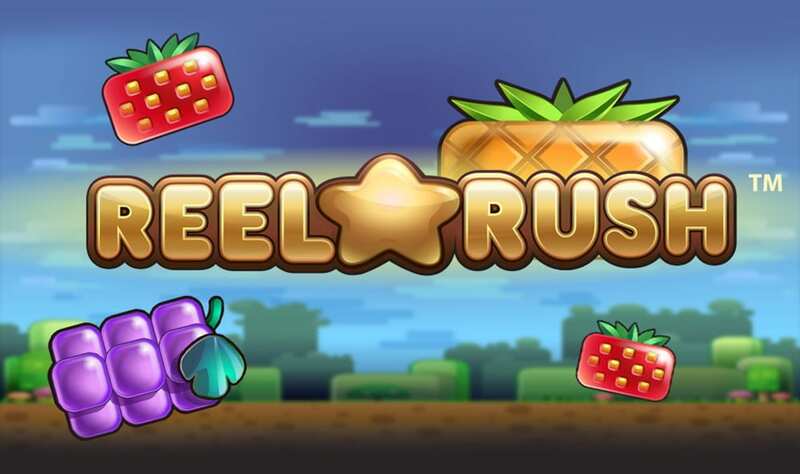 After this, eight free spins are then triggered upon each winning combination, and the benefit that you have here is that you’ll be playing with 3125 ways to win. Matching symbols anywhere on three or more adjacent reels, starting from left to right is a winning combination. Only the longest matching combination per symbol pays out. Simultaneous wins for different symbols are summed. Quick Spin: Turns the Quick spin option on or off (not available in all casinos). Intro Screen: Turns the intro screen on or off. Ambiance sound: Turns the background soundtrack on or off. Sound effects: Turns the game sound effects on or off. Graphics Quality: Adjusts the graphics quality for optimal performance. Spacebar to spin: Turns the spacebar function on or off.